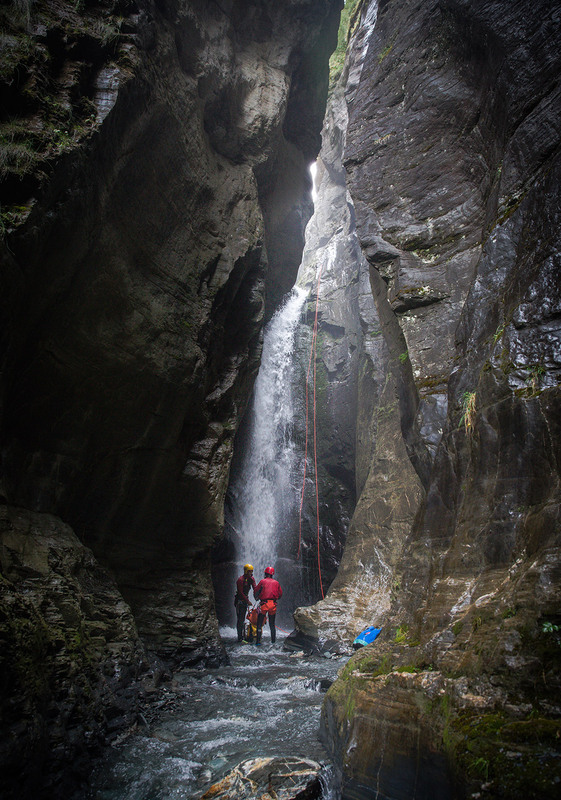 I knew there would be no easy escape as I watched the rope tumble down to canyon bottom, moments after pulling it from our entry abseil. We were now 100% committed to the descent. 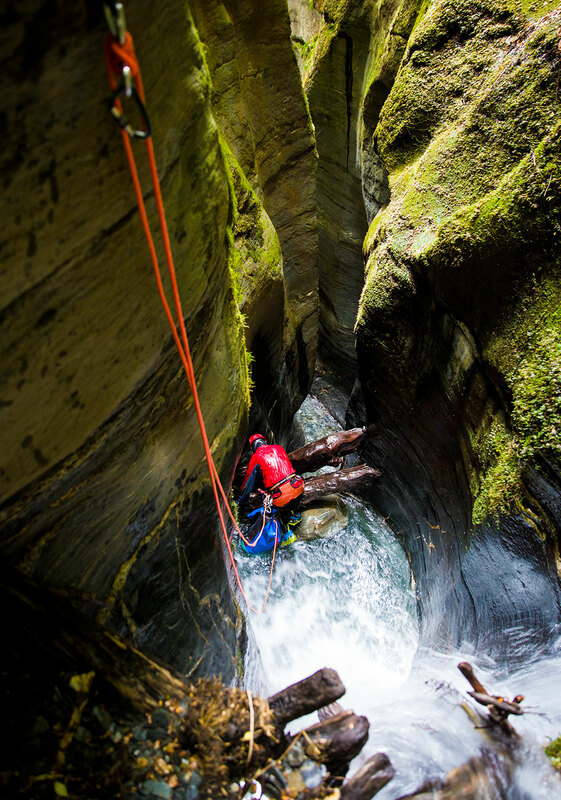 With no alternative but to continue down the canyon, we would be forced to overcome whatever obstacles lay ahead. 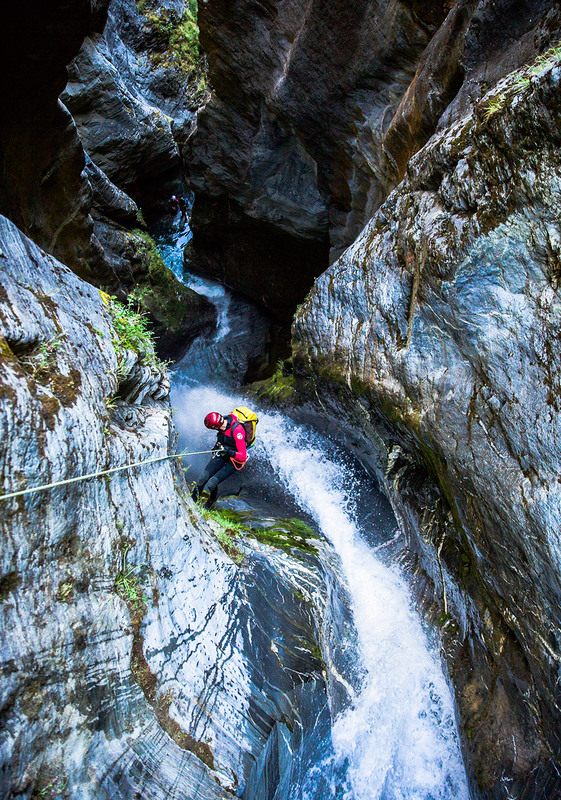 For me this is one of the main reasons I find canyoning so addictive. 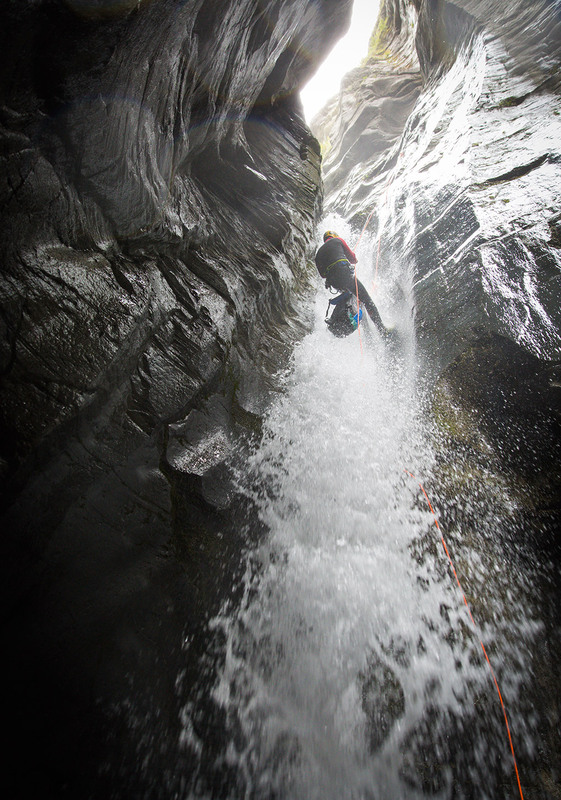 Compared to the majority of outdoor pursuits where retreat is always an option, canyoning is committing. If something goes wrong, if the terrain gets too gnarly or the weather takes a change for worse, if you’re tired or ready to call it a day, you just can’t. 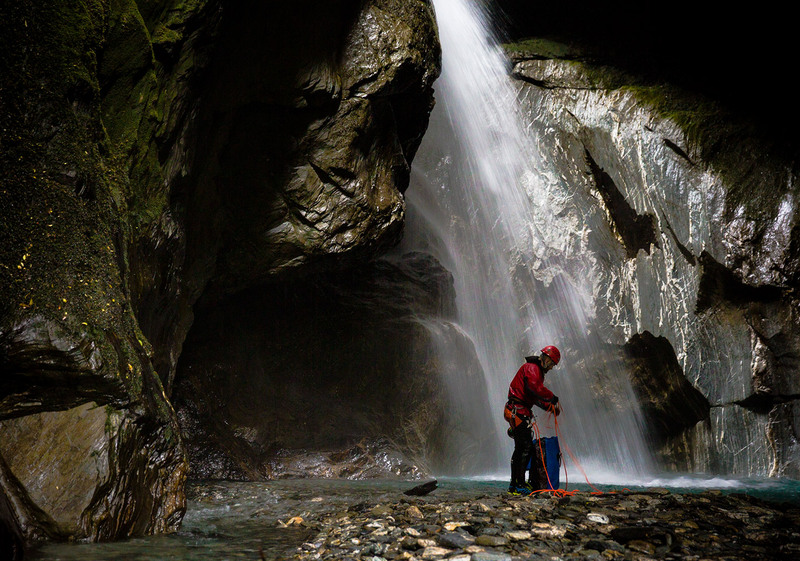 When you are in a slot with unclimbable walls, boxed in by waterfalls upstream, there is no option but to continue downstream and wait for the canyon to release you from its shadowy depths. You are trapped inside the beast, at the mercy of Mother Nature. 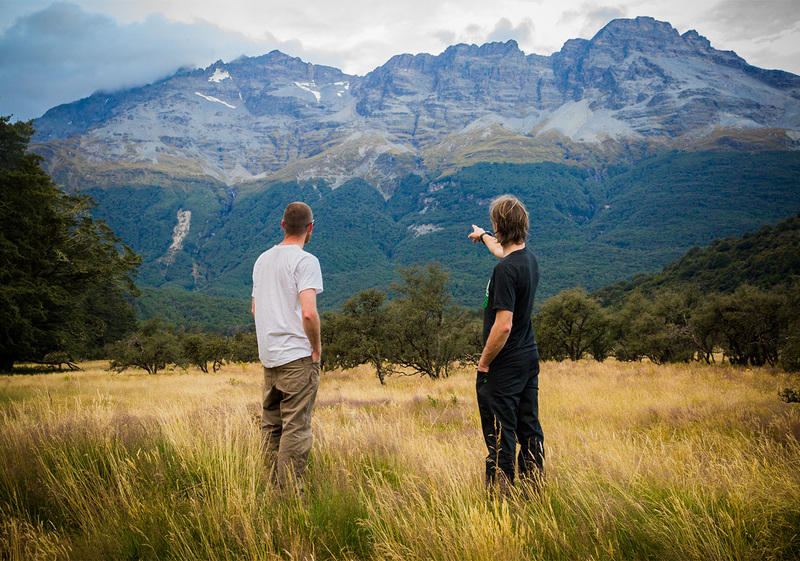 We were in the Southern Alps of New Zealand playing a game with no winners or losers. For the past month this game had been a draw, a tie, a win for both sides. 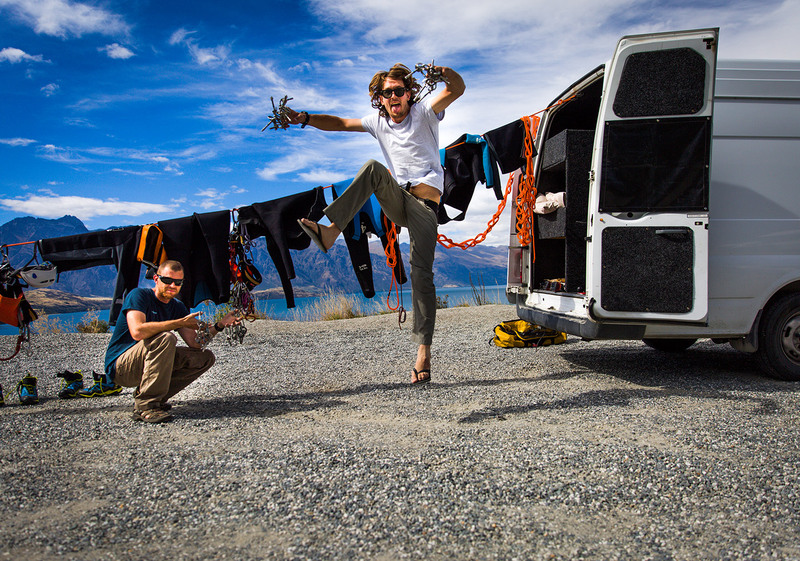 We had come to New Zealand in search of undescended canyons. 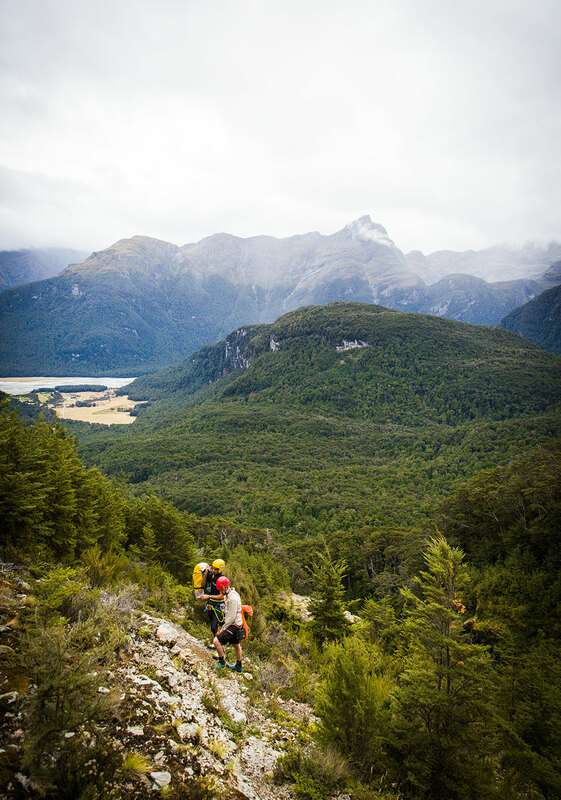 Beginning in the Haast River Valley, we successfully completed many of the established classics, a win for us. 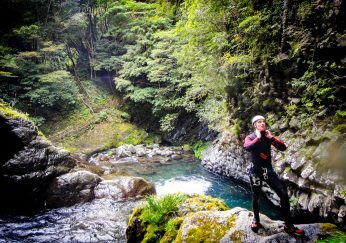 We then began exploring for potential gems hidden in the mountains on the far side of the Haast River. What looked promising from the road, would turn out to be nothing but boulder choked creeks, a win for the Canyon Gods. After a week of failed attempts we packed up and headed for a new area and new possibilities. 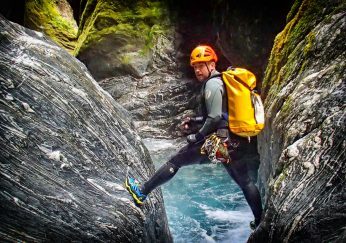 A passionate videographer and amateur storyteller, Joe has been documenting his canyoning adventures through a combination of videos and trip reports for 18 years. 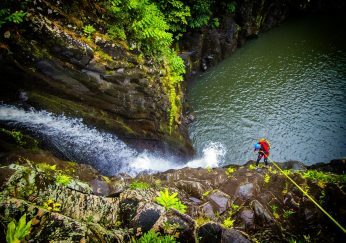 Starting in the Blue Mountains of Australia, his passion for canyoning has taken him all over the world. 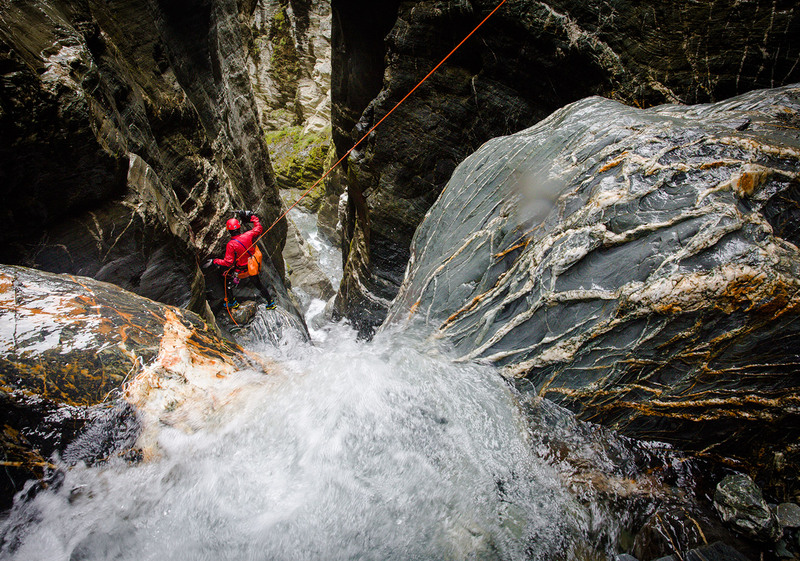 “Canyoning holidays” have taken him to locations such as Reunion Island, Canada, USA, across Europe and New Zealand. 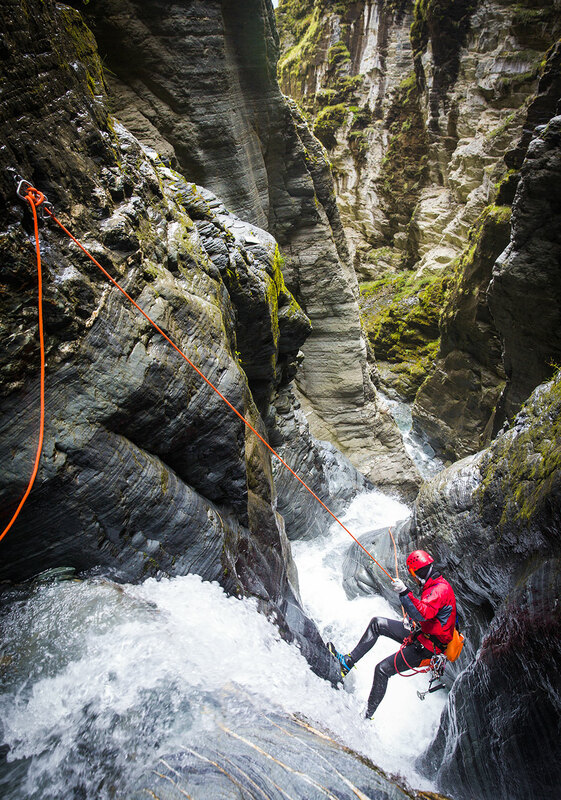 Greg’s enthusiasm for canyoning is spurred by his adventurous spirit. 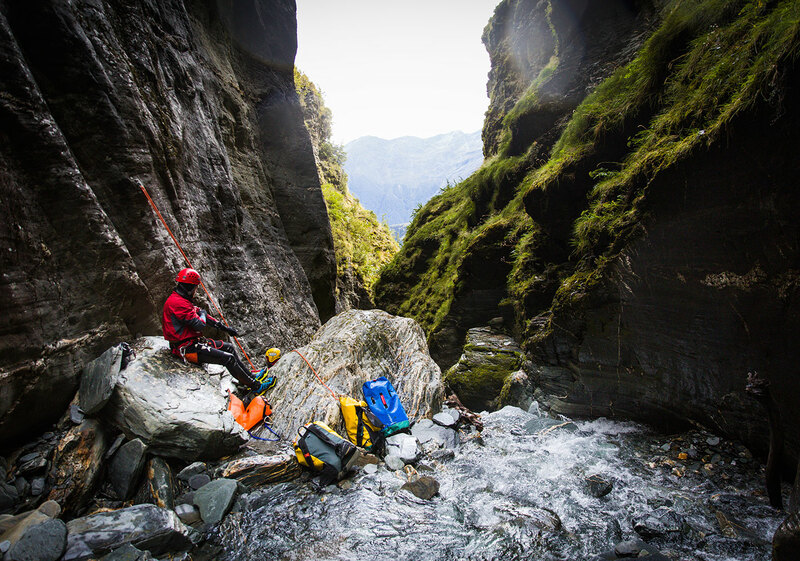 Greg has explored canyons as far afield as Australia, France, Italy, Austria, Slovenia and New Zealand. 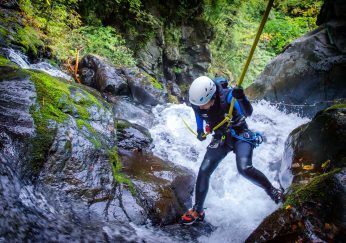 An accomplished photographer, his skills behind the camera and motivation to keep pushing the limits of commitment make him the ideal canyoning partner on first descents. Dumb-luck landed us in the Dart River valley (too busy taking in the scenery we missed the turn off to the Rees Valley). Upon arrival, we immediately spotted three deeply incised shadows on the side off the mountain that lay before us. A quick check of the map informed us the name of this mountain was Turret Head. There were three creeks – unnamed and unexplored – and so the game continued, advantage us. The first creek we named Captain Chaos, it was very low flow for New Zealand standards and made for a stress free first descent. The next, Major Mayhem, proved to be a little harder. 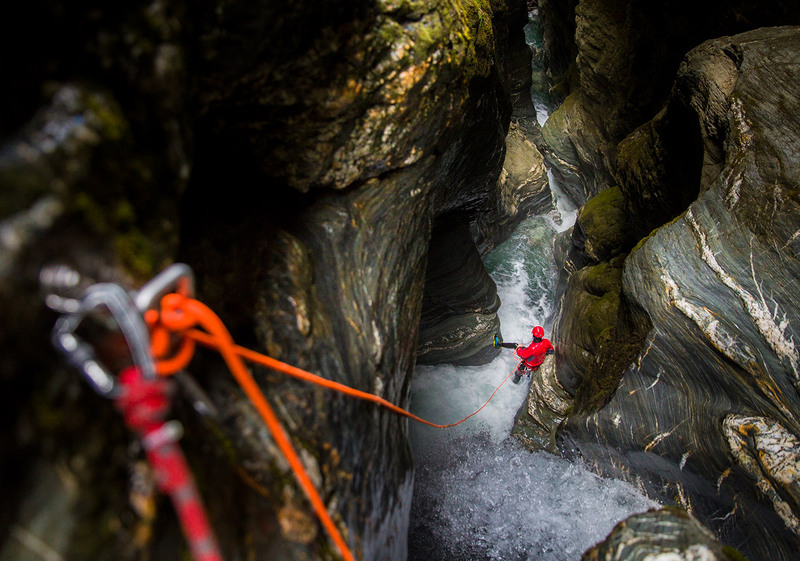 A moderate amount of flow and long enclosed sections of narrow canyon kept it exciting. The game seemed to be swinging our way. We set our sights on the final creek. Several hours later, deep in the belly of the beast, we came to the realization that we had discovered a monster. I felt that maybe this time we might have met our match, the canyon gods may have given a us a few moderate victories over the past weeks, but we were now trapped in a game we could never win. The best we could hope for was a tie. Above me a huge cascade of water came rumbling down from the narrow chasm above, bellowing out into a massive amphitheater, then narrowing back down at my feet into a corridor so tight it was only wide enough for a single foot at its base. Superb black polished rock speckled with white marbling surrounded us. This is why we come to these unique places.. to be awe inspired by the incredible handiwork of nature. The power of water and time can create features rarely seen anywhere else on earth. 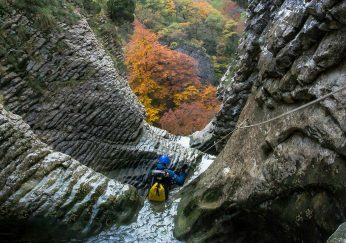 On a normal canyon adventure this beauty is foremost in my mind… but not today… this was the first time anyone in the history of mankind had passed through these corridors, and as beautiful as they were, my focus was on survival. 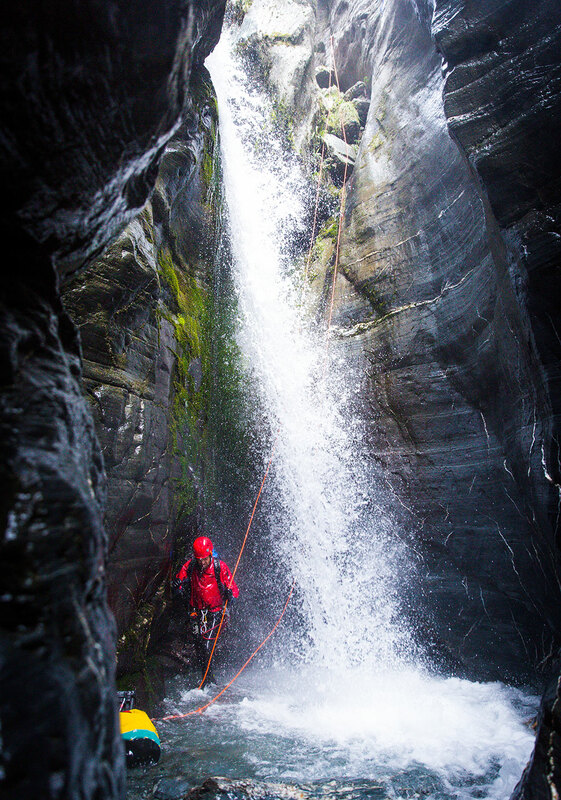 I watched with baited breath as my exploration partner, Greg, began to abseil down the next waterfall. There was a ton of water working its way through this canyon. 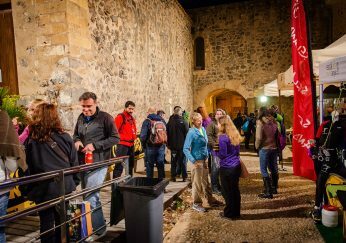 All that water echoing off the walls of the narrow slot fills the area with a dull roar, bearable at first, but after several hours the white noise takes its toll. Like sitting in a room with the TV on a static channel at full volume, it wears you down mentally. Close communication is difficult, so, we were reduced to yelling and hand signals. Communication at a distance was near impossible. This is where knowing your partner comes into play. Greg and I have shared many canyon adventures together all over the world and have a good system going. Through a combination of whistle signals and hand gestures were able to send simple messages to one another. like- “more rope”, “less rope” or “watch out for a potential hazard” ..We were deep the slot, concentrating on safe passage so there was little desire for chit chat anyway… Type 2 fun balanced precariously on the verge of a Type 3 epic! 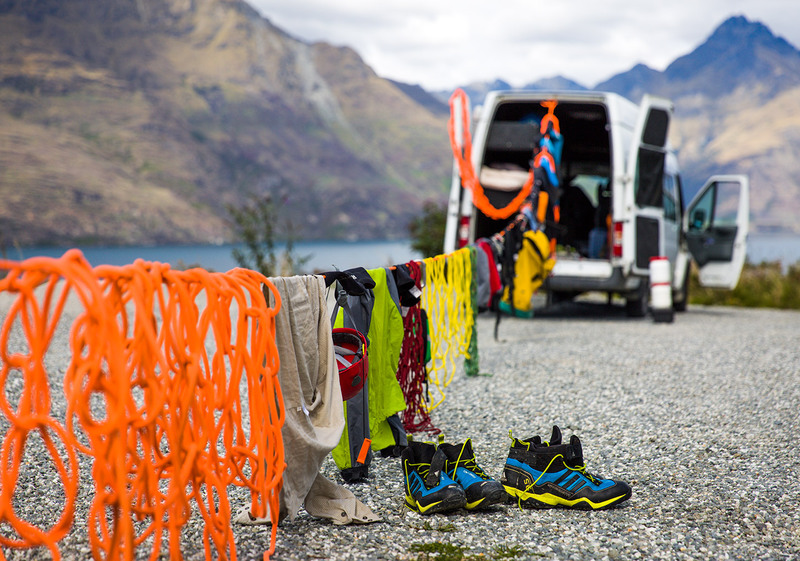 We fell into a pattern of: remove drill, install anchors, repack, abseil, unpack, drill and repeat. We never really knew what was coming up next, could this be the last waterfall? Would our 60m ropes would be long enough for the next drop? Did we have enough equipment to get us through? What would we do if our trusty battery drill got drenched and ceased to function? A funny thing about canyon exploration, when you’re doing an established canyon all you want is deep, unescapable narrows. 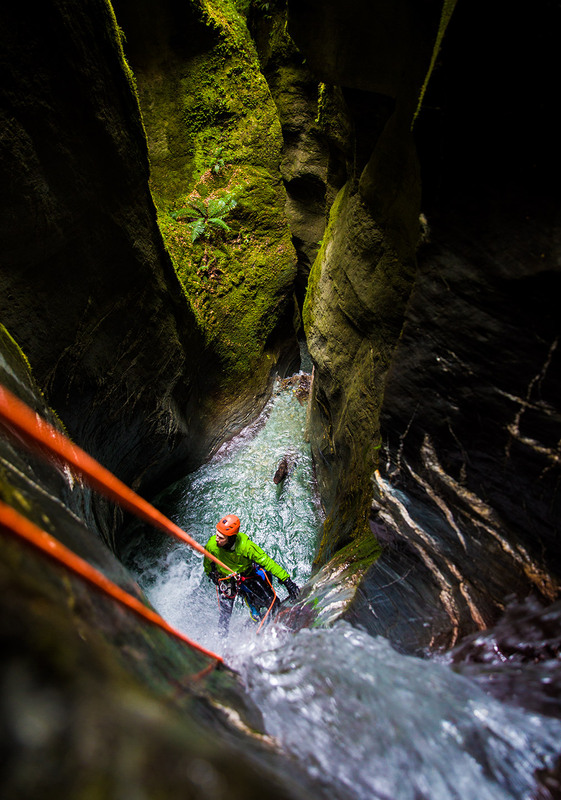 Likewise, when dreaming of potential new canyons while pouring over maps or studying terrain from the comfort of the car, images of deeper, darker and more aquatic flash to mind.. Now that we were confronted with these elements, I found myself craving a chance of escape. With every new anchor installed, our available time and supply of bolts slowly disappearing with no chance of an exit in sight. The first descent factor plays tricks on your mental health. There is something about knowing no one has ever passed through this way that grinds away at the back of your mind. 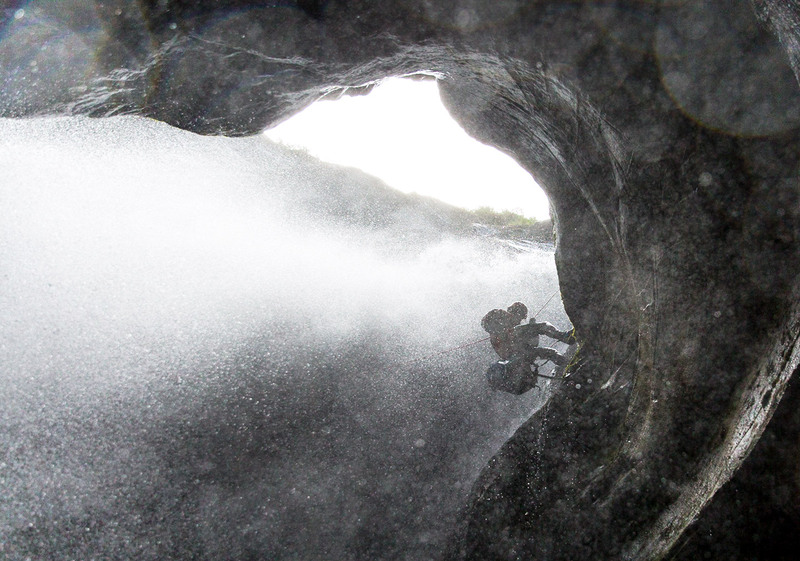 Fear of the unknown makes the job of the first person down each drop that little bit harder. Everything from the bolts freshly placed in the wall, to the waterfall below, has never been tested by another human being. Just the small consolation of being number two in a first descent party is a relief, knowing that the hazard ahead must be survivable because number one just made it through! On the flip side, the thrill of discovery is unbeatable.. no one had ever seen these narrows, no one had ever stood on the lip of this waterfall and gazed down into the abyss below. A fine balance of raw excitement and terrifying fear! For these reasons we took it in turns to lead each pitch. On my right, water shot straight off the lip and powered into the wall opposite, tumbling down 15m and creating extreme turbulence in the pool below. The water obscured much of our view, but we could see another short drop of about 5m immediately after. 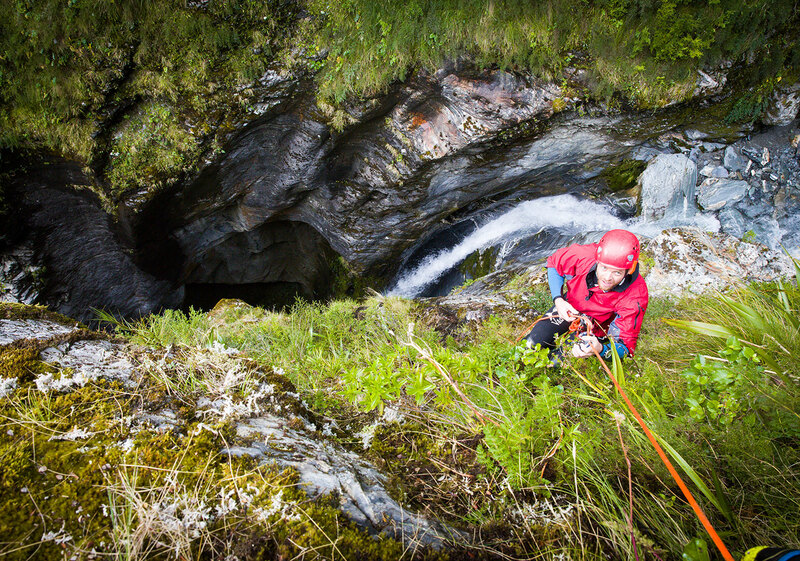 At least the abseil looked straight forward, a dry drop, just off to the side of the main flow, landing in the back of the pool away from the chaos ahead. It was my turn to lead. At the back of the pool I was relieved to find I was able to stand in chest deep water. In front of me a curtain of white water filled my field of vision. I knew I had to punch through it. 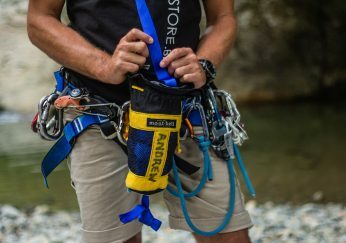 I began paying out enough rope through my descending device so I could successfully swim through the curtain without running out of rope, but not too much rope that I would then be dragged over the next waterfall we had spotted from above. Scary, scary times. It was moments like these where I am forced to face my fears. There is literally no other option. No going back. No climbing out. No way to avoid it. We would need to surpass this obstacle in order to escape. 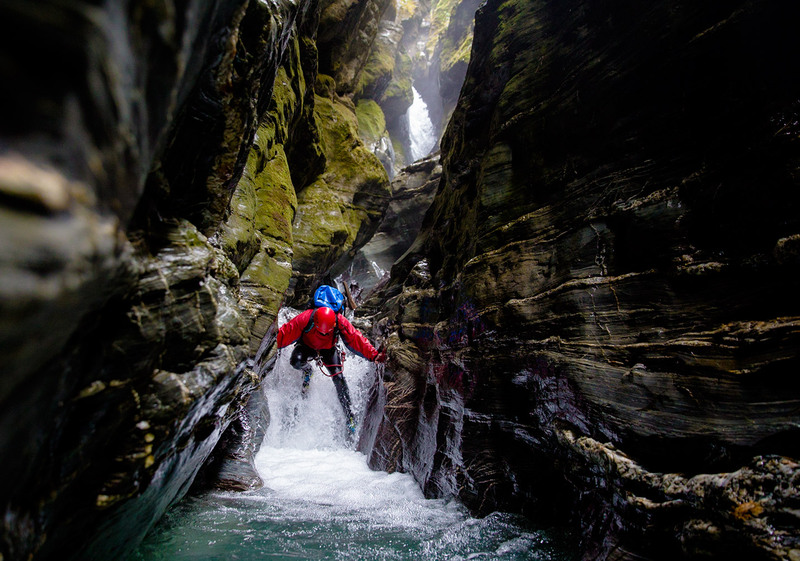 Stepping out of your comfort zone is what adventure is all about. 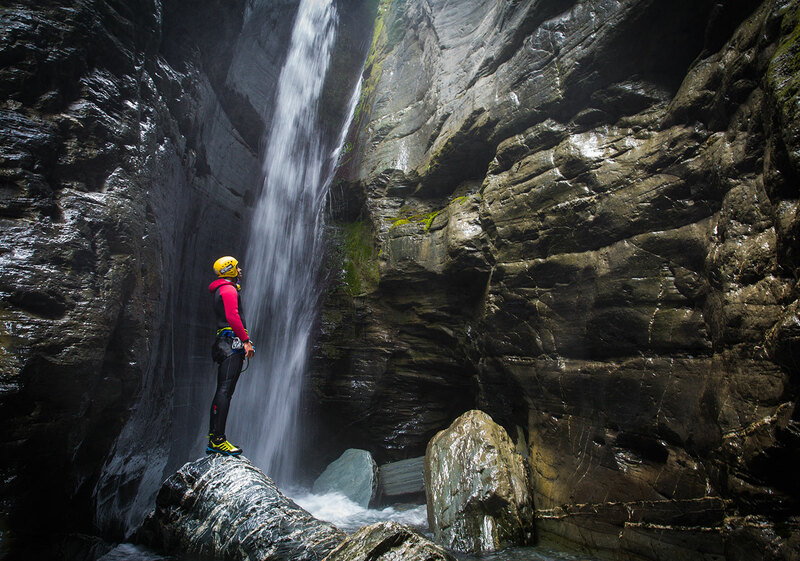 Pushing yourself to try new things and explore new places is an integral part of the human spirit. Historically, that instinct has encouraged us to climb down from trees. To search out new lands, cross oceans and fill in blank spots on maps… or in our case conquer the fear of drowning and solve the puzzle that lay ahead. With that in mind I edged forward to the point of no return. 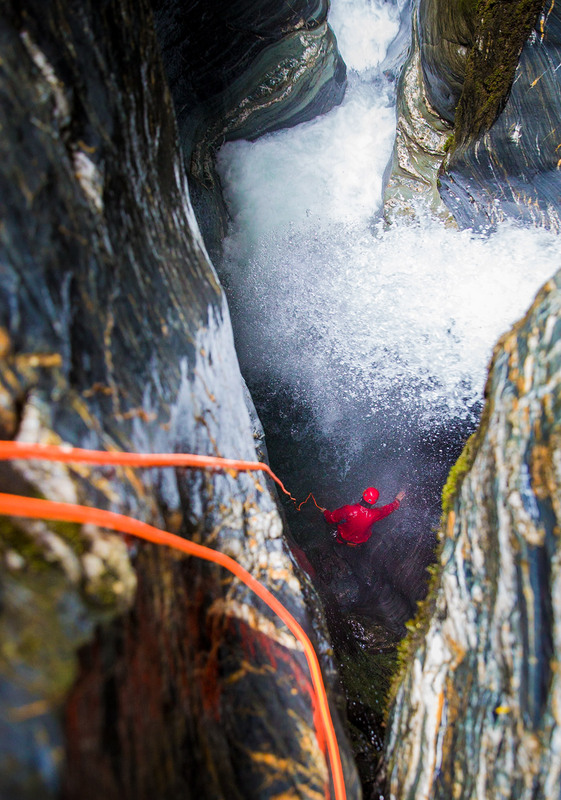 Having sorted my rope, I launched through the wall of water and swam free of the chaos. 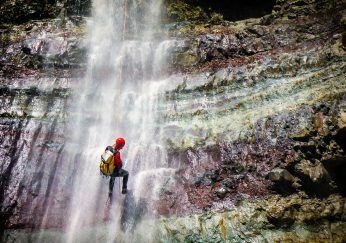 My fingers dragged along the canyon wall frantically searching for a feature to grab hold of before I was dragged over the next waterfall. The rope pulled tight in my descender just in time and I was able to get a foot on a rock below. 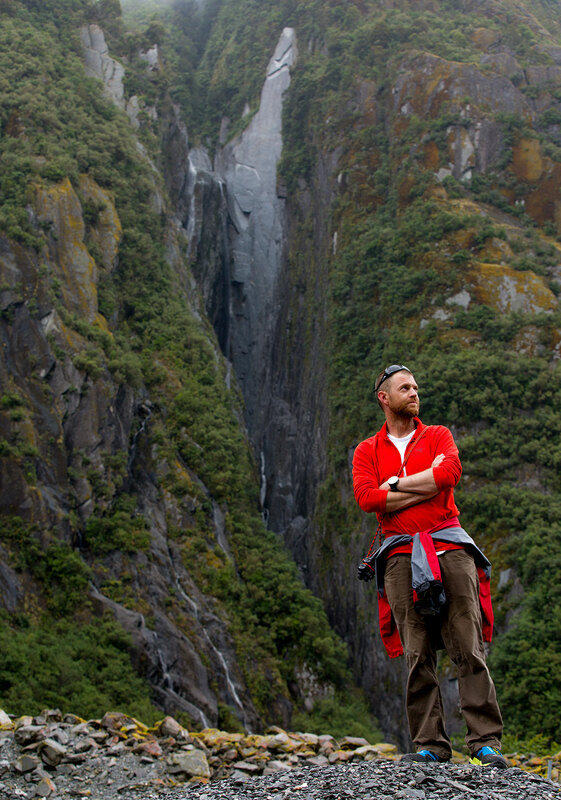 I quickly balanced myself and got into a position, ready to tackle the next waterfall. I could see Greg’s head poking over the falls above. I gave him the ok signal and worked my way over the next small drop to safer ground. The game was getting real. 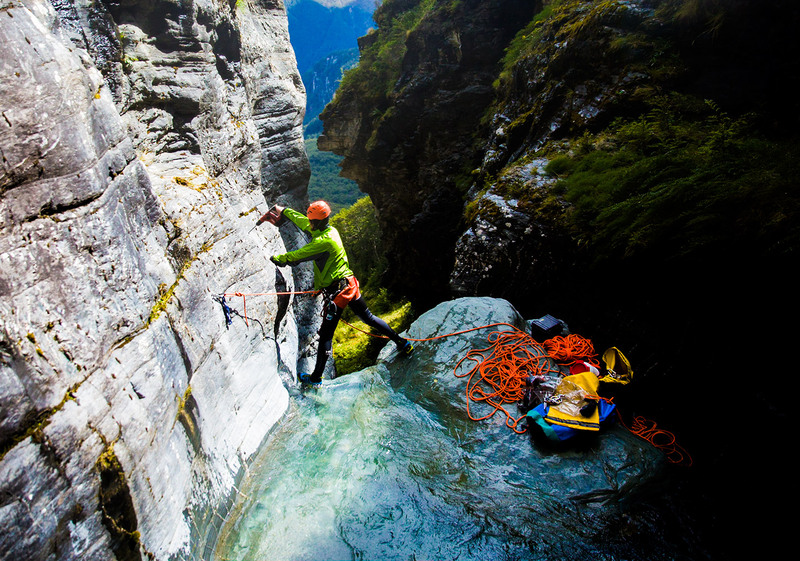 Would the canyon step up the difficulty another notch and put us into check-mate? The endless series of waterfalls was wearing us down, the deep, dark narrows would not relent. It was getting late. We were tired. It was cold. The perfect recipe for mistakes to creep into our routine. We came around yet another hidden bend in the canyon and a rush of warm air hit us. Suddenly the cliffs peeled back and long forgotten sunshine poured in. An escape at last! Back at the car we beamed with our accomplishment. The suffering, pain and fear of commitment to the unknown had been forgotten already. The only question left was… Do we want to do it all again tomorrow? 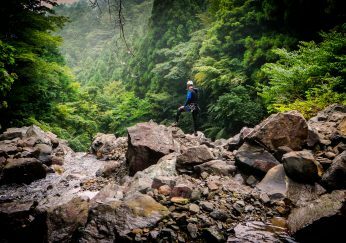 Over a period of five days we explored from our high point of 1100m to the terminus of the Canyon section at 600m. Massive thanks to all who helped with the first descent of The General. 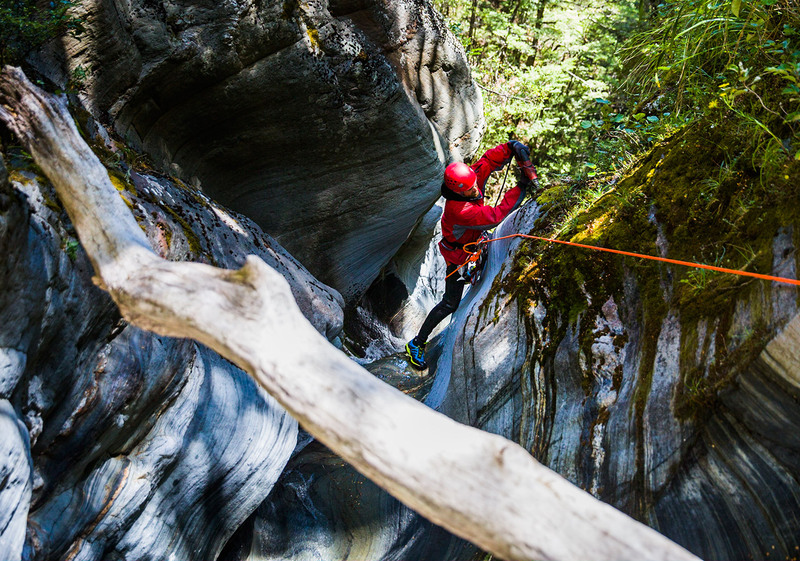 Kaden Anderson, who assisted in the lower section (Inferiore), Daniel (Chucky) Clearwater, Toine Houtenbos and Riki Brown whose help in the crux waterfalls in the middle section (Intermedio) was invaluable, Luis Goncalves who joined us on a mission into the upper section (Superiore). Last but certainly not least, the ladies of our lives, Nari and Meredith, without their support none of these adventures would be possible. We look forward to returning and completing a full unbroken descent from les haut (the top)! !